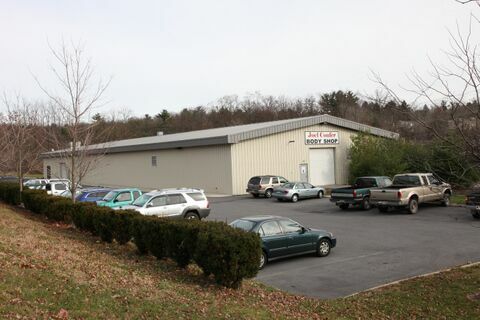 Joel Confer Collision Center has been proudly serving the State College and surrounding areas for over thirty years, we offer the only Toyota Certified Collision Center in a 100 mile radius. Joel Confer's Collision Center is a family owned full service collision repair and paint facility, with state of the art equipment and factory trained technicians. Customer Satisfaction is our number one priority, so rest assured, your Toyota will be returned to its pre-accident condition when the repairs are complete. Our expert repair and refinish technicians will provide you with the highest quality service and factory-authorized parts. All repairs completed by Joel Confer Collision Center are backed by a lifetime warranty no matter what make or model or insurance company. Your vehicle is in the best possible hands when you bring it to our Toyota Certified Collision Center! Don't own a Toyota? No problem, We are proud to announce we are the area's only approved Honda and Nissan repair facility, our technicians are the area's best and can repair any make and model. We are I-CAR Gold Class reinforcing our commitment to quality and safety. Enjoy peace of mind knowing that your vehicle will be repaired exactly how the manufacturer approves! We also accept all types of insurance. Give us a Call today to schedule a Free Estimate @ 814-237-5713.